New independent reports find the $8 billion Climate Investment Funds (CIF) is unique among climate finance institutions and drives fundamental change in how countries tackle climate change. CIF financing has sparked increased private sector investment in climate change mitigation and clean energy, and has helped mainstream climate change into national priorities, planning and institutions, according to the reports. These studies highlight the importance of bringing strategic, timely solutions to address challenges. 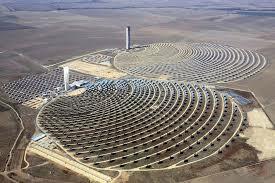 For example, in Morocco, a CIF investment of nearly half a billion dollars cleared a path for around $4 billion in financing from other partners to break ground for the Noor Ouarzazate Concentrated Solar Power Plant, the largest facility of its kind in the world. The complex is a shining example of how concessional financing, technical assistance, and private sector partnerships can effect large-scale change. Noor Ouarzazate provides clean energy to 2 million Moroccans and accounts for one-fourth of the country’s solar energy target of 2 GW by 2020. CIF was established in 2008 as an unprecedented commitment to supporting transformation towards low-carbon and carbon resilient development in middle-income and developing countries. Now, years later, as CIF celebrates its 10th year of climate action, independent studies have found that transformational change is advancing across all CIF programs. CIF programs span clean energy transition, energy access through renewable sources, climate resilience and sustainable forest management. The studies are part of CIF’s commitment to learning from its vast portfolio of over 300 projects across 72 countries. It is clear that the world no longer has time to wait—climate action needs to happen now. CIF’s proven experience shows that bold, climate-smart investments in partnership with others can make significant contributions to real, long-term change in the countries that need it most.